Indiaplaza Blog For smart shoppers |: Gemstones make you feel precious! Gemstones make you feel precious! Gemstones are one of nature's rarest products. They are mineral crystals or organic materials that have been finely refined and cut into shape beautifully by skilled craftsmen. It is a mineral that is rare and precious. The three attributes that a gemstone must possess are rarity, beauty and color. The gemstones are highly valued because the extreme climatic conditions and the nurturing inside earth’s womb for millions of years, are not just rare conditions but almost impossible to occur again. There are almost 4,000 different types of minerals found on earth, but only a few of them are considered beauteous or durable enough to be used as gemstones. Of those, only around 20 are commonly used in jewelry. Gemstones are usually used in pendants, earrings and finger rings. These have everything that one desires in one’s jewelry. They are beautiful, rare and have many years of history to them. But, most importantly what makes these gemstones truly unique is the spectacular color range that they offer which gives them an undeniable lure. Each piece is skillfully crafted with precision so that that your jewelry stays with you forever. 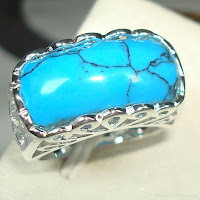 The pride in possessing a rare and beautiful gemstone is great!! !